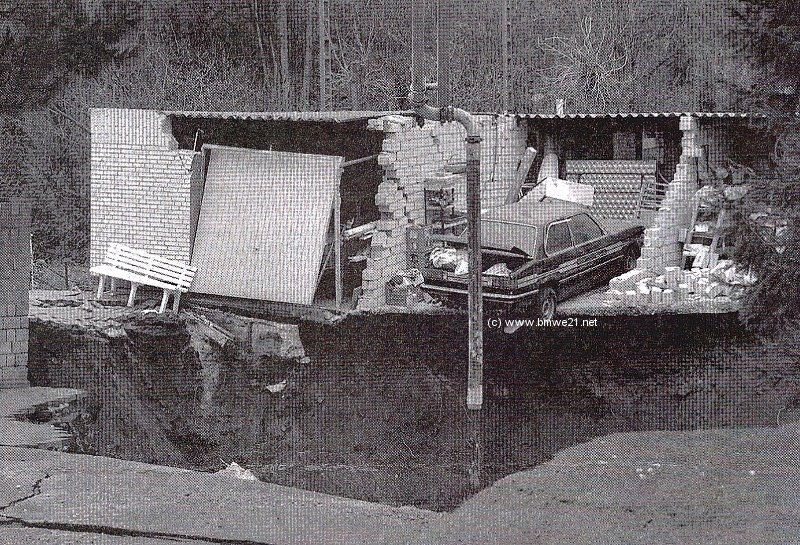 On January 2, 2000 during a rainstorm in the German village of Bochum the earth started moving. Down, down, down into the old coalmines. This car only just hung on to life. Notice the Alpina striping. I always say ‘more to come’. In this case, I hope not! I may compose a new page one of these days, on the sporty accessories offered by BMW. 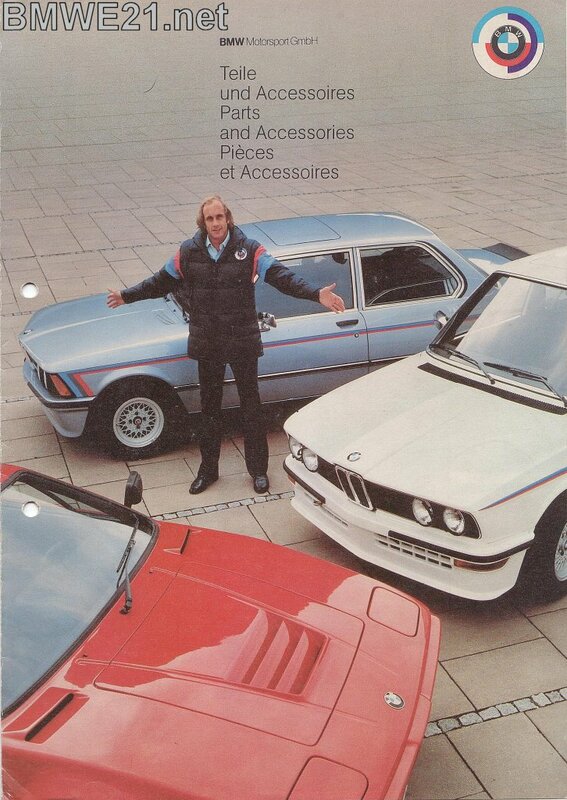 For now, here’s a picture of a rare late 70’s BMW Motorsport parts catalog featuring race driver Hans-Joachim Stück.